2Simple has been making powerful and creative educational software for primary schools for over 15 years during which time we have won over 40 industry awards. Our head office is in the UK but 2Simple tools are used in classrooms around the world. Our most popular program is Purple Mash, an ever growing website filled with creative tools, games and curriculum resources to support and inspire children at school and at home. The most recent addition to Purple Mash is ‘2Code’ which lets teachers with no prior knowledge of coding deliver engaging and challenging lessons. We also make the multi-award winning app 2Build a Profile which provides an effortless way to gather observations and a powerful tool for supporting formative assessment. It enables comprehensive progress tracking for every child across each stage of their development. Use the 2Engage Parents add-on for a one-touch solution to parental engagement in the learning process. Winner of the Bett 2015 Innovation in ICT award, Airhead is a beautifully simple cloud learning portal for schools, colleges and universities. With Airhead, you bring all your resources together in one place and make them accessible on any device at the click of a button. Airhead is so popular because it’s easy to use. Staff, students and parents can quickly find what they want and customise Airhead to suit their needs. When technology is this easy, it gets used. That’s why Airhead is a catalyst for increasing use of technology to support teaching and learning. Fully integrated with both Microsoft O365 and Google Apps, Airhead will supercharge your journey to the Cloud. Come and have a chat to us about using Airhead to create digital portfolios, deliver lessons, publish a noticeboard or even manage your website. It’s super simple! Here’s a public flightdeck that’ll tell you all about Airhead. Ohbot and AmazingICT will be showing delegates how to engage both adults and children in robotics. You will have the chance to explore the Ohbot robot yourself via the easy to learn Scratch like software. The Ohbot will be on sale too for £119. You will be provided with a free ‘progression’ guide showing how the Ohbot will fit in to existing Computing curriculum planning. Dan and Richard will also be available to discuss training opportunities for both educational consultants and schools. We can’t wait to meet you. ASUS is passionate about technology and driven by innovation. We dream, we dare and we strive to create an effortless and joyful digital life for everyone. We’re always in search of incredible ideas and experiences — and we aspire to deliver the incredible in everything we do. A world top 3 consumer notebook vendor and maker of the world’s best-selling and most award-winning motherboards, ASUS continues to grow its status as a leading enterprise in the new digital era. Inspired by the diverse needs of consumers, ASUS‘ foremost mission is to deliver truly innovative solutions that inspire its customers. BITNETS Ltd prides itself in its ability to work with schools to deliver bespoke ICT solutions which are affordable. We are able to do this because of the expertise, commitment and passion of our staff. By employing our expertise and the latest in trusted technology, we work with schools to eliminate network failures, allowing the smooth operation of ICT in schools, so that staff and pupils can concentrate on teaching and learning. We provide flexible end-to-end solutions that assist schools to meet their objectives by giving the best possible service at an affordable fee in return of highest ROI. Blue Bean Data is a pioneering technology distribution company, here to bring the future of EdTech into the classroom. Passionate about the evolution of the classroom, we work with industry professionals to ensure we offer innovative technological answers to the problems teachers face. We are also working with many forward thinking schools and teachers who are happy to provide a perfect nest for these new ideas to grow up as ground-breaking products. 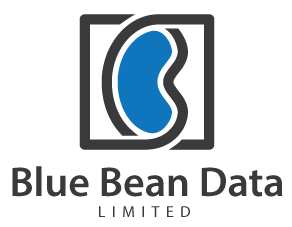 Blue Bean Data is an ever expanding company, keen to work with you in helping forge a bright future for all learners. Jumpido is an innovative math product using the Microsoft Kinect that enables students to engage with math like never before. With its adaptive programming, it provides a challenging yet rewarding experience for learners throughout all key stages. Canvas is the learning platform that makes teaching and learning easier. Its customisable platform and built-in features provide teachers and students with modern tools and resources that truly integrate with multimedia. This empowers and simplifies the learning experience whether that is online, on mobile or on tablet. Canvas connects teachers with tools, tools with ideas, ideas with students, and students with each other. Code Club is a not-for-profit who believe that all children should have the opportunity to learn to code. They work to help make that opportunity available to everyone, whether that’s through after school clubs, teacher training sessions, or through sharing our materials with eager coders around the world. Through their network of volunteer-led after school coding clubs, Code Club aim to inspire children aged 9-11 to build and share their ideas, learning along the way. In the UK alone, Code Club have helped to teach over 35,000 children through after-school clubs held across the country in schools, libraries and community centres from Aberdeen to Truro. Crick Software produces award-winning reading and writing software for children of all ages and abilities, including English language learners and those with special educational needs. The company’s best-known product is Clicker, which is currently used in thousands of UK primary schools. New for 2016, Clicker 7 builds on the success of its predecessors and makes it easier than ever before for teachers to provide personalised literacy support across the curriculum – from planning, to writing, to proofing. Using Clicker 6? Ask us about our very special Clicker 7 upgrade prices! Crick has also developed an incredibly popular range of Clicker Apps, which give learners access to proven literacy tools developed specifically for the iPad. WriteOnline is Crick’s innovative word processor for struggling writers in secondary school and Further Education. WriteOnline’s built-in support features include speech feedback, word prediction, vocabulary banks, writing frames and a mind-map creator. Derventio is a leading provider of improvement and performance software to educational institutions throughout the UK and Overseas. Our web based solutions SchooliP, CollegeiP and UniversityiP seamlessly bring together performance management, improvement planning and self-evaluation. Our solutions help to strategically focus priorities derived from key areas for improvement identified at a recent inspection or from self-evaluation. Our brand new app ensures that performance management progress including evidence, can be uploaded on the go. Discovery Education empowers teachers and captivates students by providing high-quality, dynamic, digital content and professional development to primary and secondary schools across the United Kingdom. In addition, the Discovery Education Community connects teachers and educators across the UK and around the world through social media, virtual conferences and face-to-face events. We are passionate about and committed to enhancing the way teachers teach and students learn; helping both to reach their potential. Discovery Education is a division of Discovery Communications, the number one non-fiction media company in the world. The Learning Cloud is an innovative learning platform that supports teachers and parents around the world. The Learning Cloud is home to a library of fiction and non-fiction ebooks that are enhanced with voiceovers, illustrations and animations. Each books is supported by teaching resources, aligned to the revised LNF that facilitate cross-curriucular learning and deliver a personalised and powerful experience. The Learning Cloud is being used by more than 30 schools in Wales, as well as by the Welsh Government for Welsh Medium Education. Each are taking advantage of our Higher Order Thinking Skills Questions and of course our new Reading Test Questions, specifically designed familiarise the pupil with the style of questioning they can expect in the National Reading Test. One such school is Maendy Primary School in Torfaen. Sharon Thomas, Foundation Phase Leader and Literacy Co-ordinator joins us at our stand today to share her experience of implementing The Learning Cloud at Maendy. Reimagine Literacy on The Learning Cloud. British technology brand iBoardTouch (iBT) is leading the way in providing a range of superb interactive hardware and software solutions specifically for classroom and learning environments. You can also quickly create a pop-up classroom in any internal space by pairing your screen with an iBT PC module and mobile stand – just plug and play for instant classroom activity, anywhere. The V+ range of interactive touch displays is available in variety of sizes to suit your space and budget. To see the technology at first hand – iBT offer free no obligation interactive touchscreen demonstrations in the comfort of your own classroom or learning space. Book a demo and we’ll bring a 55-inch interactive touchscreen to you on a mobile stand – we’ll show you the features and functions and give you time to ask questions and try the system yourself. 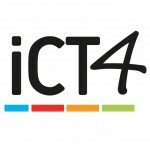 At iCT4 we provide technical support, hardware, networking design, installation and ICT consultancy to primary and secondary schools. We are also sole providers of our award-winning Superfast Schools broadband to schools across the UK. Our team of experienced engineers are committed to improving ICT in education, ensuring that systems are safe, secure and reliable. No ‘sales people’, no call-centres, just highly-skilled human beings who understand your school’s needs, working with you to get the most out of your technology both in and out of the classroom. Joskos Solutions is an ‘education-only’ ICT company with over 16 years of experience in providing support and solutions for schools across the UK. Our company is focused on enhancing the teaching and learning experience of schools through ICT. Our team’s expertise in service delivery and customer support have won us numerous industry awards including BETT 2016 ICT Company of the year. With our wide range of specialised services, we can offer your school a single point of contact for all of its ICT needs. As an Apple Solution Expert in Education established in 1983, KRCS is a specialist provider of Apple solutions. KRCS have been helping schools to create a truly personal learning journey for their students, with iPad, Mac and many related services, providing a complete solution for each institution. FirstClass is our iPad deployment program, taking away all the complexity and concerns you may have around this important investment. KRCS Launch Control is designed to get the technical setup just right from the start. Our experts build firm foundations to ensure that iPad can be used as a transformational tool for learning without unnecessary technical concerns. The dedicated KRCS Education team visit and advise institutions on all aspects of Mac & iPad deployment. KRCS is also an Apple Authorised Service Provider and an Apple Premium Reseller, with walk-in repairs also available for Mac, iPad, iPhone & Watch without an appointment. LEGO® Education plays a decisive role in igniting pupil engagement in learning by giving them a hands-on experience that encourages learning through physical and digital creation. At LEGO Education, we strive to provide a distinctive experience for teachers and pupils that combines relevant curriculum links, the LEGO system of bricks, teacher training and professional development with our unique principles for teaching and hands-on learning. Through this approach to teaching and learning, LEGO Education is helping teachers develop successful pupils who learn more about curriculum subjects and develop strong 21st century skills in a playful learning environment. New Era Education provides thousands of schools across the globe with smart and effective cloud-based solutions aimed at supporting 21st century teaching and learning. We cater for schools of all sizes, budgets and requirements with a broad and extensive product range. Our product suite includes our brand new parent app, school website services, curriculum content, as well as one of the best loved edtech products on the market, DB Primary. Used in over 1,000 schools in the UK, the DB Primary learning cloud offers a unique combination of innovative online safety features, communication tools, curriculum content, integrated services and professional websites making it the platform of choice for primary schools. 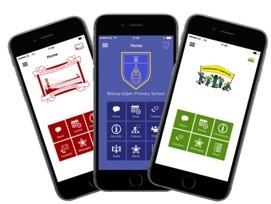 Piota designs high quality, affordable mobile apps to connect schools, parents and pupils. This enables better communications and engagement with parents, cost saving opportunities for schools, a new way to sample and evidence parental and student opinion, and projects a progressive image for your school or group. It’s quick and simple to use. The Head can send news items to everyone. Teachers can send messages to their classes. The school office can use it to process consent forms. All information and messages sent on the app can be alerted to specific target groups so the great articles, pictures or videos you post about school life no longer go unread. s and gives a richer picture of what their child is doing at school. Schools benefit from the reflected glory and higher familial engagement in their child’s learning. Rising Stars is an educational publishing company that has come a long way since we opened for business! Since our first books were published in 2002 there has been huge investment in education and as a result we have been able to develop an award-winning range of books, teaching resources and software that support teachers and learners in the UK and across the world. We are very proud of what we have achieved. All of our products are created with teachers and learners (who always know best). Winner of ‘Best Secondary Digital Content’ at the 2016 BETT Awards, SAM Learning is themost effective online homework and assessment tool available to secondary schools in the UK. Progress 8 Ready and including new reporting tools that allow teachers to track and monitor at-risk students, SAM Learning’s latest programme, Switch On, directly supports schools as they aim to close the gap between disadvantaged students and other pupils. SAM also continues to implement more time-saving additions to service, including updated menu systems and improved support and the service’s free Progress 8 consultations ensure that all SAM schools are ready for the change. With more activities across more subjects and a wider range of exam boards than any other online service already, SAM Learning has now added hundreds of new activities in preparation for the upcoming curriculum changes and its ever-growing community of teachers, Share, continue to promote best practice and their favourite SAM resources to other schools around the UK. Show My Homework is the global leader in online homework software, aimed at helping teachers, students and parents to manage the homework process. Our product ensures that homework is set effectively across the school, with statistics available by year, class, teacher and subject. Teachers can benefit and save time from setting homework in advance, reusing an abundance of resources, and even automatic grading. The ease of use and accessibility gives students a clear homework picture and allows them to prioritise their workload and stay organised using their personalised calendar, to-do list and email and mobile app reminders. We have given the power back to parents, allowing them to take an active role in their children’s home learning, keeping tabs on homework online or via our mobile apps. 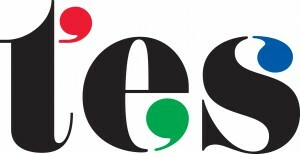 TES is the only UK publication to provide weekly news and intelligence for the education sector, as well as the country’s largest selection of teaching jobs in print, online and on mobile. TES also provides teacher training through TES Institute, which combines the best in online and in-person learning, allowing school staff to teach with confidence throughout their career. TES Resources gives teachers the ability to create, share, consume and monetise teaching materials across a huge network of more than 5 million educators. Find out more by visiting TES.com. Get TES delivered to your door, and on your mobile devices, for just £1 for your first 4 weeks – visit shop.tes.co.uk/naace and sign up today. At Toshiba, we firmly believe in technology as a powerful tool for the education environment, which can support a wide range of aspects of the school day – whether this is bringing lessons to life for pupils, or helping faculty members keep in touch from different areas of a campus. As technology continues to play a key role in engaging and empowering learners to be creative, collaborative and cooperative, it’s clear that mobility and flexibility are becoming central to a student’s education – with learning now taking place in the classroom, at home, in the playground and beyond. As a result, Toshiba remain committed to providing the education market with solutions which enable effective teaching and learning in any location. Of course, in order to use these solutions, educators need the right devices that can be used on the go. Our newest range of devices are perfect for the education sector, combining the latest in computing technology to provide a versatile, reliable, and quality experience at an affordable price. TTS has over 30 years’ experience of supplying high quality educational resources to schools & parents across the UK. We spend our lives talking to teachers, advisors, parents, early year’s professionals & others whose number one priority is the same as our own – children. The result is exceptional resources that meet customer needs. Our self-developed, electronic resources are well known for being innovative, robust, easy to use & value for money. Whether you’re browsing the market for ideas or looking for something specific, we’re sure you’ll find something of interest on our stand. It’s accepted wisdom that organisations should consider partnering with specialists for non-core functions, such as IT infrastructure. This is entirely applicable for schools, who rely heavily on technology, but may struggle to fully exploit the benefits that technology can bring, either through lack of dedicated resource, gaps in relevant skills or financial constraints. With ICT a proven enabler of collaborative working, mobility and sharing of resources, we are working with trusts and federated schools to deliver services that not only support great ICT for teaching and learning but crucially increase day to day operational efficiency. Talk to us about WaveConnect, a range of modular, yet integrated technology platforms that provide the right services at the right time with flexible payment options aligned to your budget. Or perhaps you would like to know more about “Catchbox” an innovative way to involve students and get people talking. 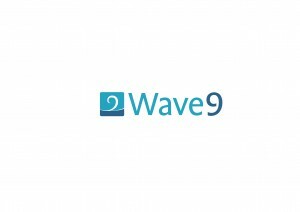 Wave 9 – ICT services for a rapidly changing schools landscape.